Watch episodes from The Ultimate Fighter® reality series season 5. TUF 5 Ep.1 It's Like Anarachy In Here Apr 12, 2007 (41:52) Sixteen lightweight mixed martial artists head to Vegas for their chance at a UFC® glory and a six-figure contract. And for the first time on the series, coaches BJ Penn and Jens Pulver will fight each other on the season finale. 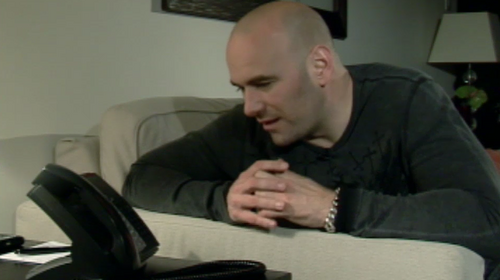 TUF 5 Ep.2 Not In The House Apr 12, 2007 (41:52) BJ Penn has a surprise for Jens Pulver. Choice words cause an eruption at The Ultimate Fighter House. And another lightweight’s dream of a UFC® contract is crushed in the Octagon. TUF 5 Ep.3 This Is My zone Apr 19, 2007 (41:52) Team Pulver is 2-0 against Team Penn and BJ is not happy. Gabe continues to struggle with his weight making him a possible target for the next fight. And Team Pulver gets a surprise guest coach. 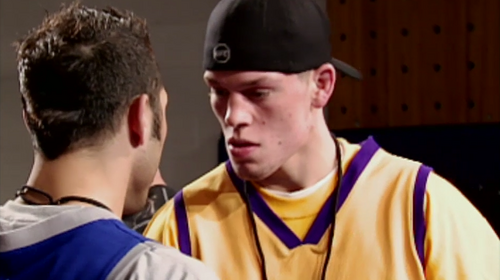 TUF 5 Ep.4 Waa, Waa Apr 26, 2007 (41:52) One fighter tries to take an easy path through the competition while another fighter disappoints his coach during crunch time. Team Pulver gets a surprise visitor and two more fighters step onto the battlefield. 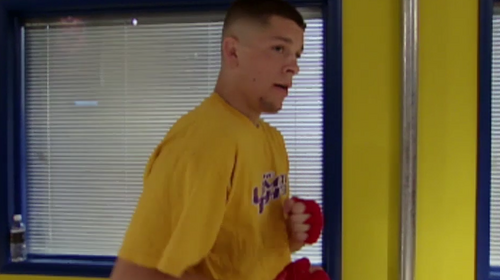 TUF 5 Ep.5 Put Me Back In May 2, 2007 (41:52) Team Pulver has racked up four wins in a row against Team Penn. Still struggling with his weight, Gabe Ruediger is the likely target for Team Pulver’s winning machine. 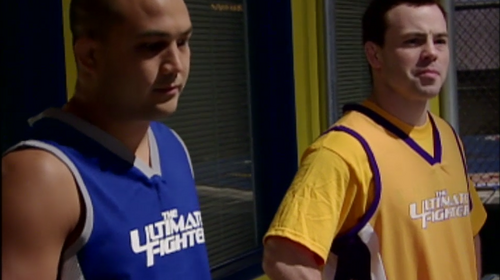 TUF 5 Ep.6 All Your Might May 10, 2007 (41:52) It’s two fights in one show. It’s Joe Lauzon vs. Brian Geraghty, followed by Rob Emerson vs. Corey Hill. Who will move on to the next round and gets a shot at the ultimate prize? TUF 5 Ep.8 Not On the Concrete May 24, 2007 (41:52) Tensions at The Ultimate Fighter® house reach an all time high and a fight breaks out. The quarterfinal match ups are announced. Who will be the first lightweight to make it into the semi-final round? TUF 5 Ep.9 It Was A Brawl May 31, 2007 (41:52) Guest Coach Randy “The Natural” Couture pays a visit to Team Penn to offer his expertise and to support one of his protégés’ Gray Maynard as prepares to enter the quarterfinals against Brandon Melendez. 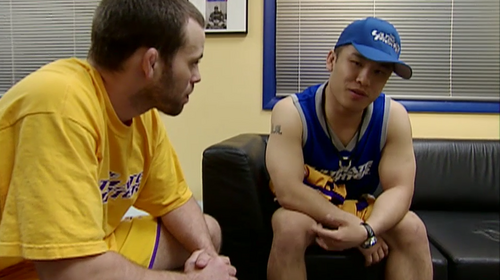 TUF 5 Ep.10 Traitor Jun 7, 2007 (41:52) It’s the last two quarterfinal match ups. 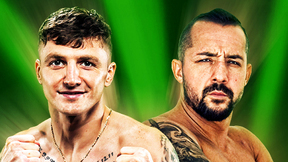 Two fighters from Team Pulver go head to head in the third quarterfinal fight but only one will advance to the semi-finals. And Manny gets a visitor as he prepares for the last quarterfinal bout. 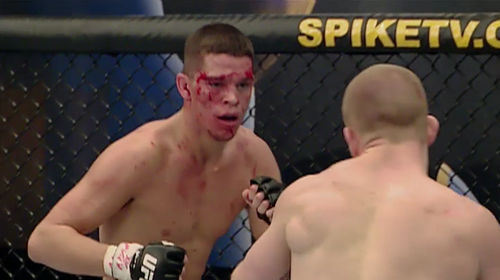 TUF 5 Ep.11 I Humbly Apologize Jun 14, 2007 (41:52) Manny Gamburyan’s cousin and UFC® veteran Karo Parisyan almost gets into a fist fight with Nate Diaz and the first semi-final fight takes place with the winner moving one step closer to becoming the next Ultimate Fighter. TUF 5 Ep.12 Gave A Hundred Jun 21, 2007 (41:52) It’s mayhem at The Ultimate Fighter® House as the fighters go stir crazy. And Gray Maynard faces Nate Diaz in the last semi-final match to determine who will move on to fight Manny Gamburyan in the live finale. Nate Diaz vs. Manny Gamburyan TUF 5 Finale Jun 23, 2007 (22:14) In the season’s lightweight final, Cesar Gracie Jiu Jitsu’s Nate Diaz, who, prior to the show, contended for the WEC lightweight championship, was set to face his TUF teammate & judo specialist Manny Gamburyan, who was a 6-1 pro coming off back-to-back wins. The Ultimate Fighter Season 5: Auditions Apr 7, 2015 (16:49) Check out the auditions from season 5 of The Ultimate Fighter.